Hello to all! We have begun a new baseball season and have expanded quite a bit. We added an older age group and have gone from 12 teams to 17 teams, which puts us close to having around 190 kids. It is hard, but I think I have about 70% of their names down. We are still in each of the four communities from last year. Candelaria has 6 teams, Santa Matilde has 4 teams, Cuitanca has 4 teams and 2 new coaches, and Bethel has 3 teams with 3 new coaches. We are grateful and appreciative of the new coaches that we have but always are looking for more people to help! We would like to give a big thanks to all those who helped with our glove campaign last fall. It was a huge success. We were able to raise $2,000 to buy new and gently used gloves and also had about thirty gloves donated. With all of that help we have been able to adequately provide gloves for each of our 17 teams. We also spent $500 of the $2,000 for gloves to be given to the kids. For a kid to be eligible to “purchase” a glove they have to have 2 years participating in the league. This year we had about 50 kids eligible. Unfortunately, of those 50 only 20 received gloves. 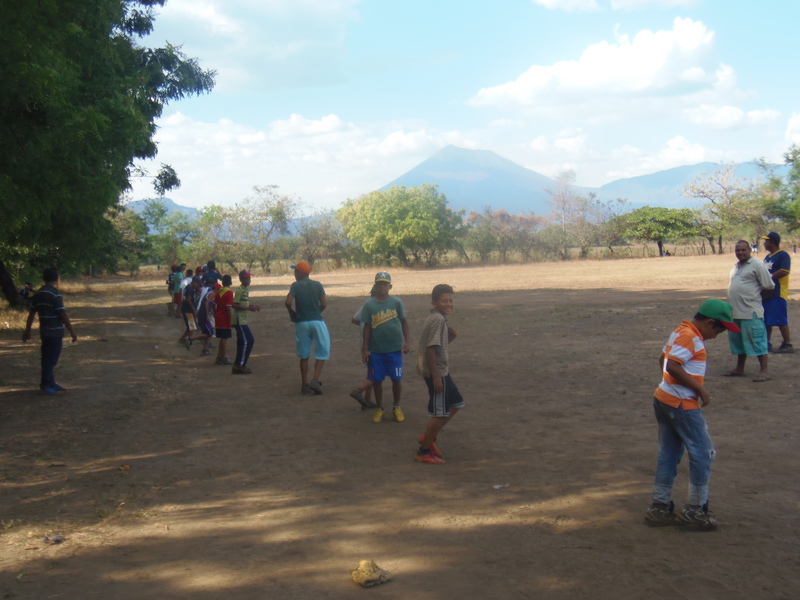 The eligible kids had to come to the fields at New Song to do some field work for about 3 hours and if they did that, they could purchase a glove for 50 cordaba, which is less than $1.50. We wanted them to have to put something towards it so that they would appreciate it more and not take it for granted. Having less than half of the kids show up to work was disappointing but goes to reinforce and show what kind of mentality is so prevalent here. There is a strong sense of entitlement and not wanting to put forth work to receive things. The interesting thing is most of the kids during the past two years have asked me for a glove, and when they had a chance to earn one they did not show up. Nonetheless, it always makes me happy and grateful to see the kids come to the practice and games with their gloves, and those who did receive gloves sure do love them! Thank you all again so much for making it possible! This year we made it mandatory for the kids to memorize the weekly Bible verse, and if they do not then they do not play that week. We have done three verses so far: 1 John 4:19, Philippians 2:14, and Psalms 118:24. 1 John 4:19 which says, “We love because He first loved us” was during Easter week, and we talked about the greatest act of love that Jesus showed and why that is the reason why we love each other. Philippians 2:14 was a verse I personally wanted to talk to the kids about because they constantly are fighting and arguing with each other. The verse says, “Do everything without grumbling or arguing.” So now anytime they start arguing amongst each other I just repeat the verse, and it has gotten to the point where some of the kids will say it to each other when they see their teammates bickering. The verse in Psalms talks about being glad and rejoicing in the day that the Lord has made. It actually lined up with all the protests that began happening in Nicaragua so we talked about how it is a big blessing every day that we have on the earth. 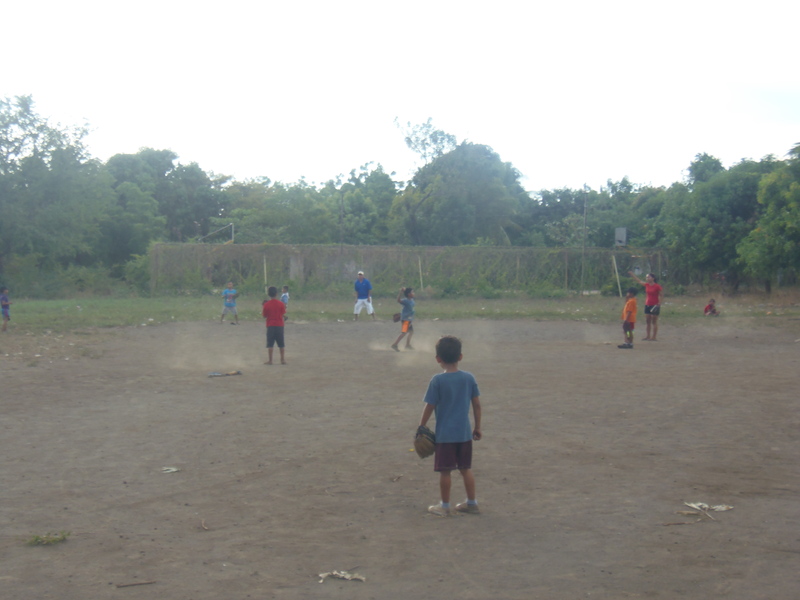 We also talked about all the many blessings in their lives including the great opportunity they have to play baseball in a league and with equipment, which is all made possible by people who many have no idea who they are. If you haven’t seen or heard, there has been quite a bit of political turmoil and civil unrest happening in Nicaragua over the past month. If it wasn’t for the internet/social media one wouldn’t notice a big difference in the town we are in, but we do ask that you keep Nicaragua in your prayers and that God’s will will be done for the nation. Besides that, please continue to pray for Nicaraguan help, as that is always needed, and that kids will be changed by the presenting of the Gospel on a weekly basis. Thanks so much for your prayer and support! God bless! Stretching for practice in Cuitanca!